The NET Spider Studio (NSS) consists of a group of people who love the .NET technology and its derivatives from Microsoft, Autodesk and other game players. They create addins and tools for some big and popular software products and platforms, which adopt the .NET technology, including but not limited to Autodesk Revit, AutoCAD, Inventor, Navisworks, Microsoft Visual Studio, and Windows itself. We try our best to provide you, our dear customers, the best software products and services, in a timely manner. We try our best to make our software easy to use, reliable, expandable, and affordable at the same time. Revit Parameter Organizer 2019 provides 153 tools so far in a single package. It helps organize almost all kinds of Revit parameters such as shared, family, project, global, built-in, element, category, scheduled, formulated, referenced, and associated. It helps View, Edit, Explore, Connect, Load, Bind, Schedule, Add, Copy, Examine, Change, Rename, Replace, Convert, Remove, Purge, Transport, Export, Import, Lock, Un-Lock, Sort, Inspect, Associate, Report, and Adjust parameters in either single model mode or batch mode regarding both opened models in Revit and external files on disk. It supports all Parameter Types such as Image and MultilineText, Groups, and Family Types (Categories) such as Bridge ones. It can operate on all kinds of Revit models and files such as projects, families, templates, opened, loaded, nested, and external. It supports Revit 2019, 2018, 2017, and 2016 and any of their flavors that support the addin technology. Revit Family Organizer 2019 provides 162 tools so far in a single package for Revit 2019, 2018, 2017, and 2016 . It helps organize various Revit family forms including family files, family models, and loaded families such as component, system, style, miscellaneous, assembled and nested. It helps View, Browse, Explore, Open, Load, Reload, Convert, Change, Rename, Switch, Place, Replace, Seek, Purge, Remove, Update, Edit, Assemble, Save, Transport, Export and Import various family instances, styles, families, files and so on in either single mode or batch mode. It helps organize Family Materials in various ways. It helps organize Family Parameters in many useful ways, like viewing, creating, deleting, converting, replacing, loading, locking, sorting, exporting and importing, either for a single parameter or multiple at the same time, either for a single open model or files in batch. The webinar is for free and will last approximately 1 hour. During the session, you will be able to ask questions to our experts. When you have signed up, you will receive a mail on how to connect to the webinar in practice. devBLD Topo Tools are a suite of tools to automate the transformation of total station gathered data on site during topographic surveys into Revit models. devBLD Utility Tools is a suite of tools to automate the transformation of total station gathered data on site during utility surveys into Revit models. Revit Project Organizer 2019 works with Revit 2019, 2018, 2017 and 2016. It helps organize Revit projects in many different and good ways. It provides many tool bundles such as Creators, Duplicators, Loaders, Placers, Copiers, Adjusters, Finders, Inspectors, Editors, ReNumbers, Flippers, ReNamers, Exporters, Importers, View Cleaners, Sheet Cleaners, Schedule Cleaners, UnPlaced Cleaners, UnUsed Cleaners, UnExpected Cleaners, Cloud Cleaners, Link Cleaners, File Cleaners, Purgers, Transporters, Closers, Element Gadgets, Text Gadgets, Group Gadgets, Suite Organizer, Selection Organizer, and Material Organizer. It also provides some other nice tools such as Files Upgrader, Events Monitor, Fonts Setter, Failures Handler, Problems Isolator, Issues Fixer, Dialogs Suppressor, Elements Hider/Seeker/Browser, Document Locator, Aliases Namer, and so on in a single package. I recently had to work with the BMS system of my office building and study how to retrofit it with new web-based technologies. I am by no mean even slightly knowledgeable about these systems, but this gave me a few ideas to explore. For example, I wanted to measure temperature and humidity in my apartment to understand thermal conditions and optimise comfort in my own home. I first looked into integrated home monitoring systems, but they are more expensive that I wish to spend on this small experiment. Furthermore, they mostly work with proprietary software solutions and offer little possibility for tinkering. Instead, I ordered two Raspberry Pi Zero W along with two DHT22 humidity and temperature sensors to build my own Wifi enabled indoor thermometer and humidity monitor. Since I will need to use the GPIO interface of the Raspberry Pi, I ordered the H version of the Raspberry Pi Zero W, with pre-soldered headers. This allows me to connect the DHT22 to the GPIO interface of the Raspberry Pi without having to solder it on the board. Following the instructions from this post in Home Automation Community, I quickly plug the sensor into the GPIO interface of the Raspberry. Got 15-minutes? Join us to learn about a new change that now allows free AVAIL users to share their content. We’ll demonstrate how easy it can be to collaborate. Get colleagues on board and try out content sharing with your team to get the full AVAIL experience. As a registered AVAIL user we want you to be the first to learn about our new features — particularly the ability to now share your content with other free AVAIL users in your plan. Get colleagues on board, watch our short demo, and try out content sharing with your team. It includes Revit SPF Explorer, Revit SPF Editor and Revit SPF Viewer. They are all standalone, not depending on Revit, Notepad, or Excel. They help explore, edit and view Revit shared parameters and their files on disk. All kinds of Parameter Types and Family Types (Categories) for whatever Revit versions (e.g. 2019, 2018, 2017, 2016, 2015 and 2014) are supported. Parameters can be displayed in different views such as flat, by group, by displine, and by parameter type. Parameters can be regrouped, property matched, GUID changed, renamed, and case converted. Parameter groups can be added, changed, swapped, and merged. Parameter files can be sought by file name/version/date or parameter group/name/GUID. Revit SPF Explorer: It helps explore Revit Shared Parameter Files (SPFs) in any folders. It lists out all shared parameter files of the current folder including its nested ones if opted into the right pane. A lot of useful information such as Folder, File, Groups, Parameters, SPF Version, Date, and Size are shown for each SPF, and each column can be sorted at will. The tool also provides many commands such as Save SPF Lib, Open SPF Lib, Open in Editor/Viewer, Open in Windows Explorer, Cut, Copy, Paste, and Delete to manage shared parameter files. Join us to learn what firms want in BIM content from the firsthand experience of Nancy McClure, Digital Design Application Specialist at Interior Architects (IA). We will get our guest’s take on the key elements of high quality BIM content as well the specific components she looks for in the vetting process. We will also discuss geometry standards, data standards, and overall what makes a good Revit family. Finally, we will get insight on panelist’s experience working with UNIFI’s own Content Creation team and explore how UNIFI has been utilized as an extension to IA’s design team. Happy Friday! I wanted to share some news with you about our early stage concept modeling tool, FormIt. If you’re less familiar with FormIt, FormIt is a solid modeler, that enables enhanced shape manipulation, and is typically used to express early-stage building design ideas. This week FormIt has had a major update and we’re pleased to announce that FormIt v17 is now available! – that includes an upgraded FormIt and Dynamo experience, the ability to create custom plug-ins, enhancements to geometry, visualization, customization and filtering options. From the Autodesk App Store, we posted about the free Backup File Organizer, the free MEP Length, and the free Renumber Parts, for numbering MEP elements for spooling, and colorizing based on Spool Name. From around the Internet, we posted about Naviate Landuse, for creating zoning plans, and the free On the Roof, for designing a roof in three steps. From the App Store, we posted about the free CSI link v0.3, and CSI Link Plus v0.3. 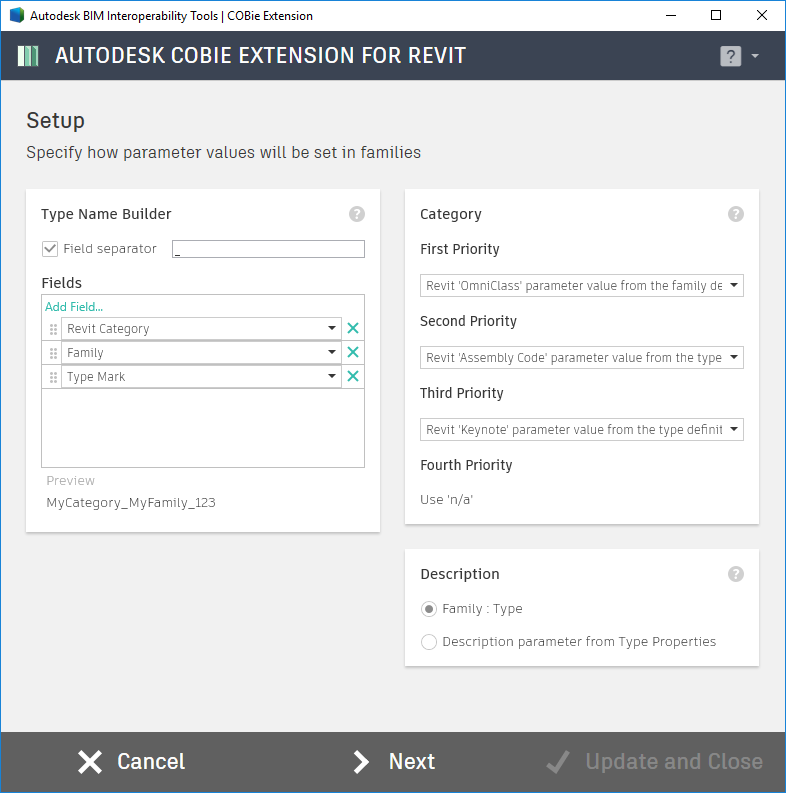 From around the Internet, we posted about a couple of new-ish tools that are part of other products, the Cobie Family Setup Tool in the free Autodesk COBie Extension for Revit 2019, and the Naviate Pattern Editor in several Naviate products. The week of February 18, 2019 was a moderately busy one for Revit-related add-ins on the Autodesk App Store. Three new add-ins were published and eight were updated. About This Version: Version 1.0, 2/11/2019 – Initial release. Various bugs reported from the previous release were fixed. Performance has been improved taking advantage of identifying the typical floor from settings dialog. Slabs with free form edges are being exported as polygons approximating the original curve. If boundary conditions are not available in the Revit model, CSI Link can generate fixed boundary conditions automatically. Ability to adjust the column location to align with closest slab edges. Model size is limited to 100 nodes. Working with Naviate Landuse will save you valuable time, enabling more time to create good zoning plans. 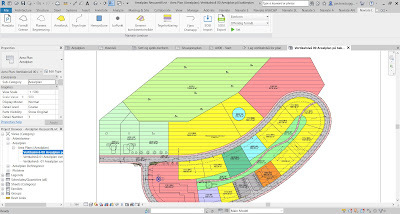 Naviate Landuse is a solution built for Revit that not only facilitates the acceleration of project documentation; it also helps optimise working methods. standards are built-in; everything is preconfigured to enhance your BIM workflow. With Pattern Editor you can directly edit the settings for any Revit hatch pattern. Simple patterns (equal distance and same angle on all lines) can be edited directly in Revit itself, but more complex patterns require the user to write a custom hatch pattern definition file (a .pat-file) and then import the definition file to a Custom Pattern instead of a Simple Pattern. Writing this type of definition file is quite a challenge, since the format is based on the same kind of hatch patterns used in AutoCAD. With Pattern Editor you can edit existing patterns and create new patterns without using a pattern definition file. 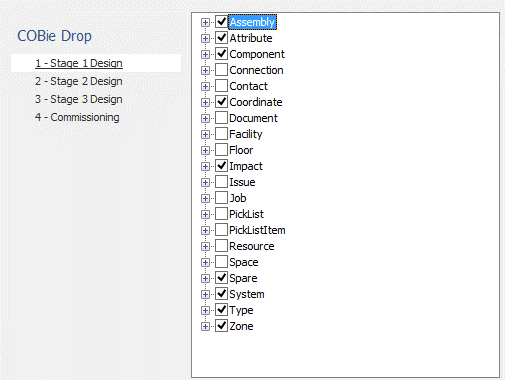 You can also preview the changes as well as duplicate, rename and apply the pattern to materials in the Revit project. Over the last few weeks colleagues in Autodesk Research have been building the foundations for a space analysis package that can be used for generative design workflows in Dynamo. We’d love to hear from you if you’re interested in taking it for a spin. We’ve known we’ve needed to get better performance when analysing 2D and 3D spaces since embarking on the original layout of the new MaRS office in Toronto as part of Project Discover: the approach we had worked well – as I think is clear from the results of the project – but it wasn’t in a state that could usefully be shared externally. These free Autodesk apps are designed to help architects, engineers, contractors and owners with their Building Information Modeling (BIM) workflows. Simple configuration allows for customization of each required data drop. Setting up and creation of ventilation systems and using the calculations tools to determine sizes of ductwork, pressure drops, balancing and equipment selection, including diversity calculations. With this add-in you can number the elements of your spools with a customized prefix, you just have to click the elements one by one and the numbers are assigned automatically. It also helps you in fixing the mistakes you make if you forget to select a specific element. Finally, after you have assigned a number to all your elements you can colorize them based on their spool name. Dynamo opens up the door of advanced computation modelling for data management and geometry based in logic and algorithms. 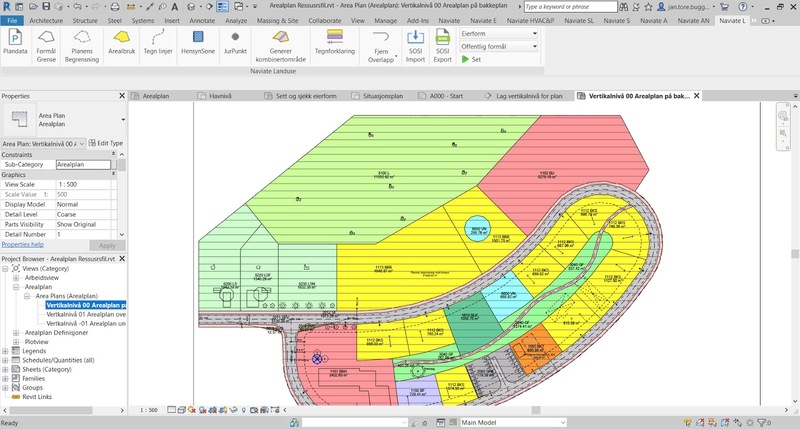 This open-source software is deeply integrated with Revit and allows Revit users to solve and develop impossible workflows that seems not achievable in Revit. The target of this online course is to develop a basic knowledge about visual programming and node logic. 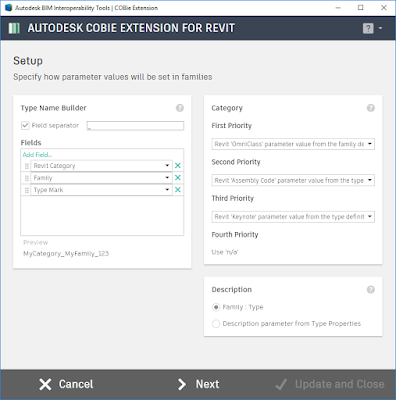 The Revit 2019 Cobie Family tool is included in one of the three BIM tools which you can download from Autodesk’s BIM Interoperability Site. The tools have been updated in Revit 2019 and now have a new location on the BIM Interoperability Tools Tab. It allows users to add Cobie parameters to their Revit families in batches and is an essential part of the BIM Level 2 requirement. I have divided the instructional videos into the three distinct stages of the process. The FormIt team is pleased to announce FormIt v17 is available now! 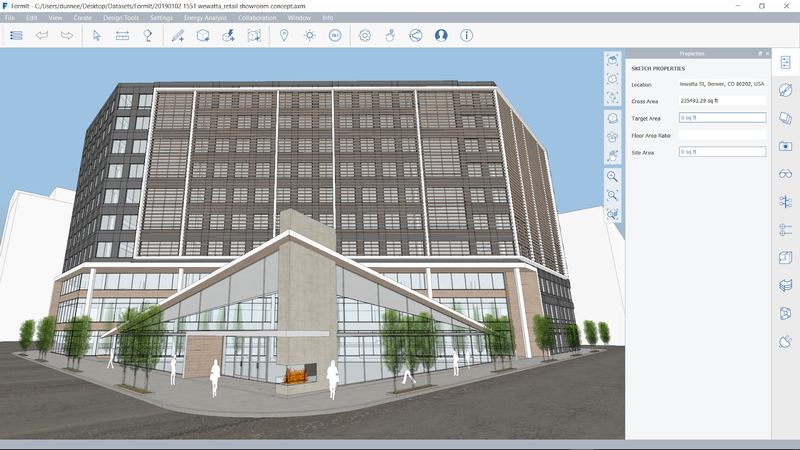 We're kicking off this release with FormIt for Web and Windows. We'll shortly release FormIt for iOS, and FormIt for Windows will also soon be available from the Autodesk Desktop App. This FormIt update is huge, with dozens of new features, service changes, and general fixes and improvements. Read about the biggest changes below, and head over to the Release Notes for complete details on all the changes.